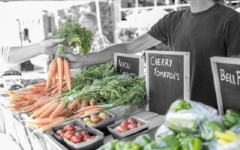 IF SELLING FOOD ITEMS, YOU NEED TO REGISTER WITH BALLINA COUNCIL. 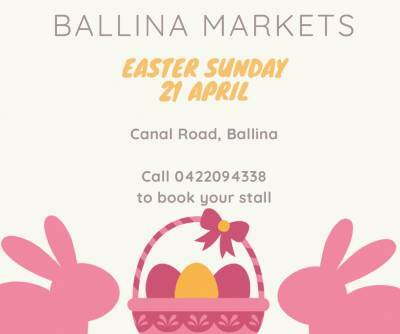 East Ballina Lions Club warmly welcome the local community & visitors to the East Ballina Community Markets to enjoy the peaceful village green atmosphere & realistic prices. The stalls offer goods for sale from local artists, crafts people, fresh food producers, plants, books, clothes, jewellery, toys & much more. The Lions Club cafe under the trees is a great place to relax & share a coffee & something to eat with family & friends. A variety of food & drinks are available including the Lions Big Breakfast. There is live music throughout the morning including the Ballina Shire Concert Band playing from 9:30am to 10:30am. Parking is free & disabled parking near the stalls is available. Free musical entertainment plus Balllina Shire Band. 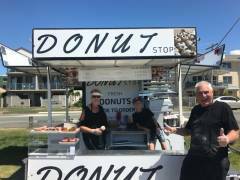 Stall Fees are $15 per site with 4 metre frontage & onsite parking. Marquees avaiable for hire. Package deal $15 includes table and chair. Tables and chairs for hire, $2 per table, $1 per chair $12 marquee only. Limited number available, must pre book. Revenue raised is returned to local community through Lions projects. Please note, some Stallholders may not attend all event dates.